Hostels are beginning to become a lot more popular with older travelers as both the recession bites harder and the quality of hostels keeps increasing. The current trend is for failed hotels to be bought up by entrepreneuring individuals and the double rooms are turned into small dorms. It's a piece of cake to get two bunk beds into a decently sized hotel room after all, and it will bring in about as much money when full. With more hostels available, the quality of lodging has increased as well. Which has brought the category to the attention of older travelers, who while attracted by prices around $20 per night, do require a little more comfort than a 17-year-old backpacker away from home the first time. Namely, a clean shower and kitchen. People aren't willing to give up their vacation trips, but spending less money while away is getting more popular. 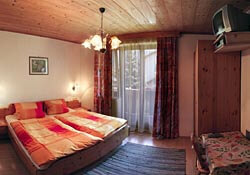 And, if you're not into sharing the room, many hostels will offer single and double occupancy rooms as well. Essentially, this turns it into a very basic hotel room, giving the traveler some privacy while saving money in comparison to most hotel room rates. Besides the money-saving aspect, there are other benefits to hostels; there's plenty of information on how to save money locally from staff, other travelers, and the message boards. Of course, there's also a kitchen to cook in and people to spend time with if the sightseeing becomes a little much. Of course, if you'd still rather find a hotel, we have some creative tips on bagging a cheap hotel room as well. Last updated by jack on 05 December, 2008 in Lodging. I believe there's actually a white label solution for this, as there's for hotels. And they all, just like hotels, run off availability and inventory feeds, so won't have much to separate them really. I prefer Hostelworld myself, but I have one of those old legacy memberships where I never pay a fee to Hostelworld itself. That saves me a few dollars on each booking. Found this post via twitter (thanks @hostelmana) and thought I'd leave a comment. I agree with pretty much everything here. Hostels are definitely going a lot more mainstream and I'm guessing it has both to do with the availability of private rooms as well as general improvements to the overall standard. The concept of 'youth' hostel definitely seems to be dwindling which is interesting. Regarding the sites listed for bookings, 4 or 5 are exact duplicates :) Nothing wrong with them of course but you won't find much new there that you won't find elsewhere. Anyway, great post. I'll have to subscribe to this here site!